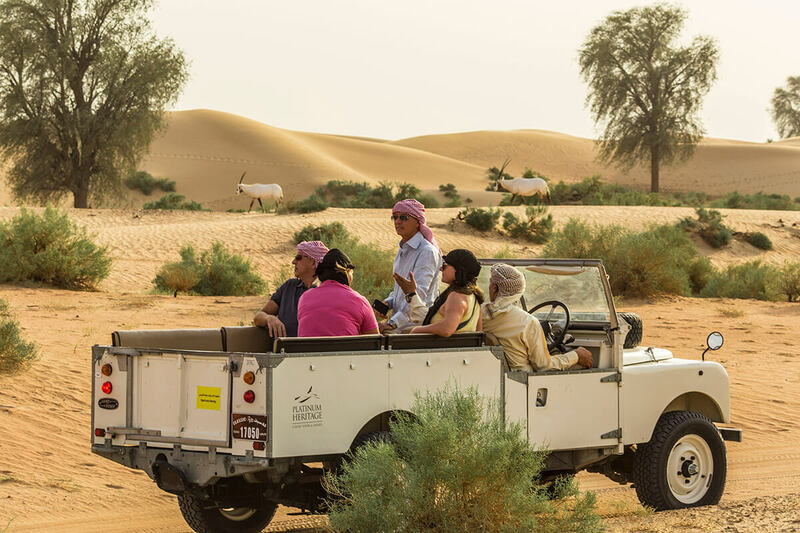 Platinum Heritage is the only Desert Safari company in Dubai that is focussed on Ecotourism and has 100% in-house staff, trained extensively on conservation and culture of the region. Most Desert Safari companies in Dubai employ freelance Guides, especially during the busy season. 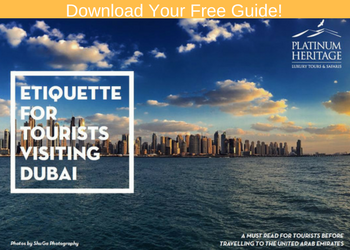 The disadvantage of this is that many of these Guides are not well trained and often don’t have the expertise required to conduct excellent Desert Safaris. All of our Guides go through extensive theoretical and practical training headed by our resident Conservationist, Peter Roosenschoon who has years of experience in Conservation and Guiding across Africa and in the UAE. The role of our Guides is much more than the average Safari Guide in the industry and because of this, we no longer refer to them as ‘Safari Guides’ but rather ‘Conservation Guides.’ Our professionally trained Conservation Guides are on a mission to conserve the history, cultural heritage, local culture and natural environment of Dubai. 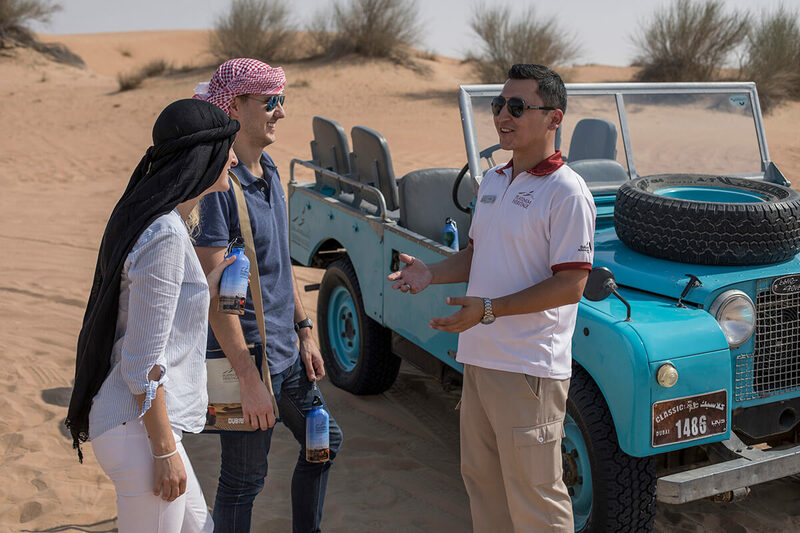 During all our Desert Safaris, our Conservation Guides share insightful information about Dubai and take you on a journey into the rich culture of its people and share stories and facts about the native fauna and flora of the UAE. During our wildlife drives, our Guests learn about native animals like the Arabian oryx and discover interesting facts about the desert flora like how the fire bush and miswak were used traditionally for the survival of the desert nomads, The Bedouin. Platinum Heritage is the only ecotourism Desert Safari company in the UAE and all our efforts are to promote sustainable travel. The knowledge and expertise of our Conservation Guides is in line with our sustainability mission to preserve the cultural heritage, local industry and native fauna and flora in Dubai. 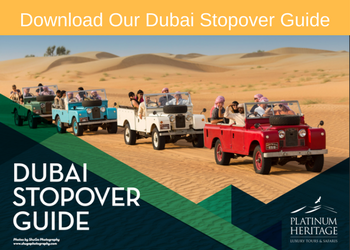 Above all, all our Conservation Guides are very friendly, helpful and eager to share Dubai’s stories with our Guests!